For years, The Likes of Us has proven in countless albums their stronghold and music and power to weave flavorful melodies that appeal to a wide range of listeners. In Time Traveler, let’s journey back a bit to where the pop acoustic duo from Los Angeles started it all. 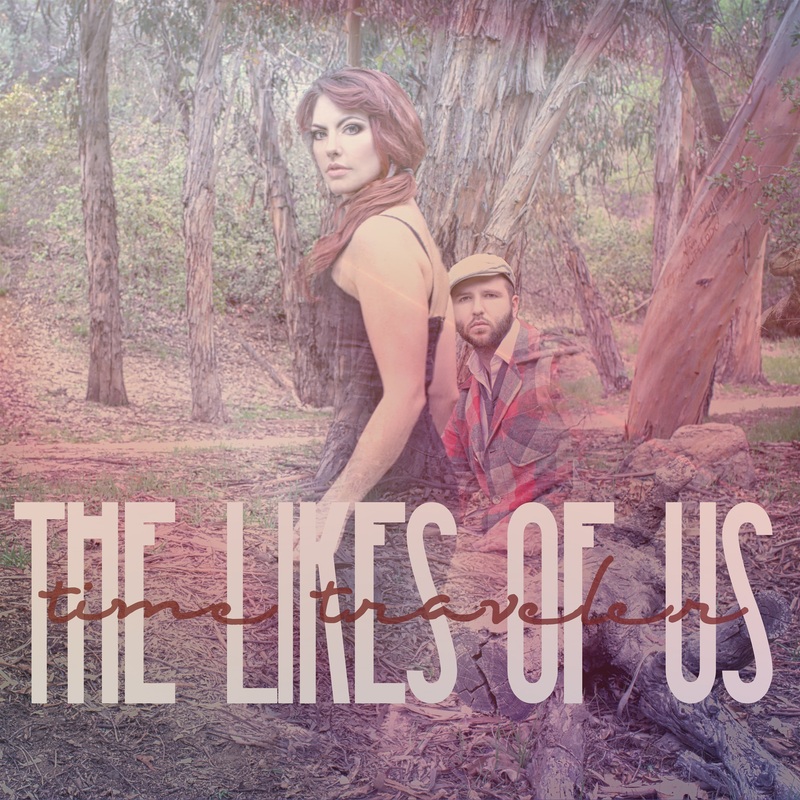 Time Traveler, featuring a hefty collection of 15 songs, is The Likes of Us’ sophomore album. This collection mirrors the duo’s affinity for vintage, retro melodies and acoustic music. “This album was such a beautiful struggle. We make music to take people on the crazy adventures we dream up when we’re sitting in front of a piano, drinking whisky and talking about life. Parts of it are muddy and dirty, parts of it are sunny and bright, the rest of it is whatever you want it to be,” said the duo of Benj Heard and Katrina Stone about their sound. Indeed, Trains Comin’ perfectly encapsulates this description as the song’s arrangement goes back to country roots, amping up the listeners with twangy lines fluttering in between guitar and feet-stomping beats. In Moonshine, The Likes of Us immerses us with soulful bluegrass combined with whimsical chimes, and, of course, well-penned lines that tell the life of a country lad. The Moon Song closes the album with a blissful serenade of acoustic strings and vintage-sounding lullaby. In Time Traveler, The Likes of Us does not only deliver good music, but goes beyond that by transporting the audience to simpler times in the country where you only need to be happy is a guitar, a great story and a glass of whisky.